2004: Black Enterprise presents its last list of black insurance companies, which for years had been mainstays among the nation’s largest black businesses. Once among the most expansive sectors, the ranks dwindled to five. 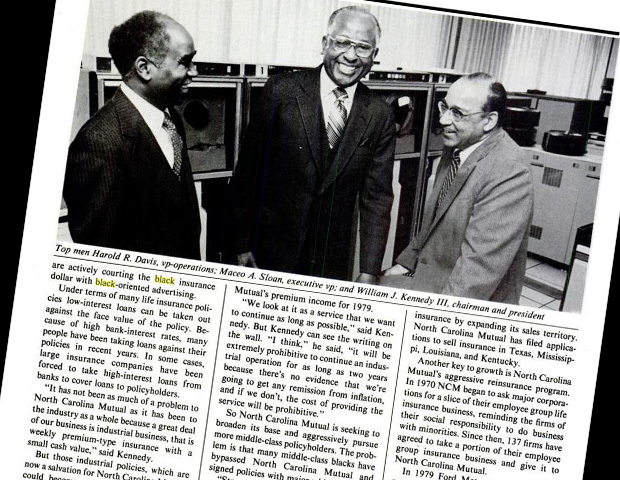 When Black Enterprise developed its first Annual Report on Black Business, among our prominent rankings was the one designated for insurance companies. At that time, there were 42 such institutions owned and controlled by African Americans, serving black policyholders from Los Angeles to Mobile, Alabama. For the most part, these firms offered customers industrial insurance, known as “burial insurance” due to the fact that low-income blacks purchased these policies of $1,000 or less and made weekly payments to cover funeral costs and the like. Beyond comforting customers with management of “final expenses,” these insurers also represented financial pillars of their communities through employment, business financing, and philanthropic support. 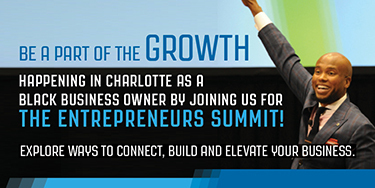 The largest was North Carolina Mutual Life Insurance Co., launched in 1898—35 years after the Emancipation Proclamation—and the driving force of “Black Wall Street,” Durham, North Carolina’s thriving business hub during the late 1800s and early 1900s and home to future BE 100s financial institutions Mechanics & Farmers Bank and Mutual Savings & Loan. By the early 1970s, the prophetic William J. Kennedy III had seen the writing on the wall when he took over the third generation family enterprise. 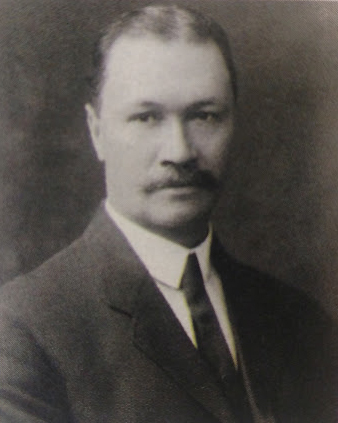 Industrial insurance was on its way out as BE reported that such policies represented just 2% of total insurance in force and giants like Prudential, John Hancock, and Metropolitan Life, which began aggressive pursuit of African American customers, exited from that business. 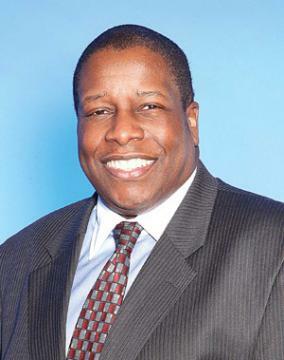 Although NCM’s healthy $1.4 billion of insurance in force and $129 million in assets made it one of the most celebrated models of black business achievement, Kennedy decided to go after group life insurance accounts from the nation’s leading corporations, and in fact, recruited white salesmen in his bid to capture a slice of the general market. The move made NCM a target for the industry leviathans. 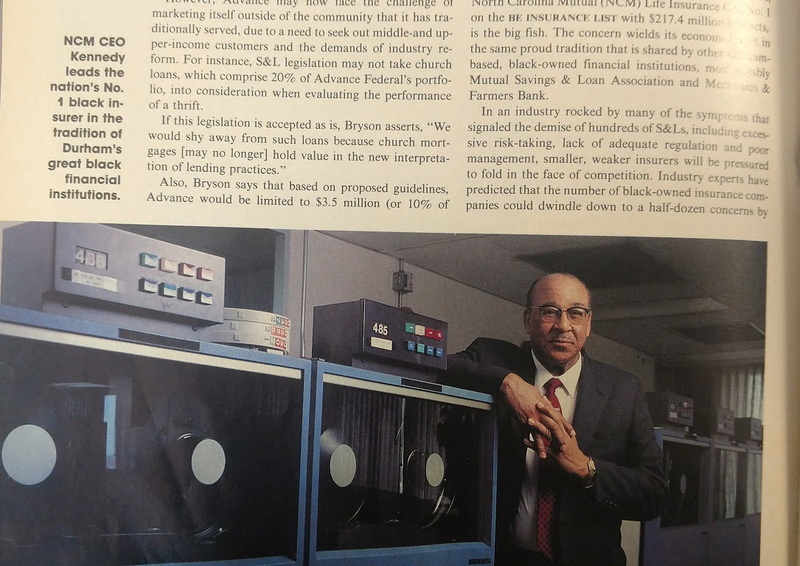 More than 30 years later, NCM was still fighting for group life insurance market share, restructuring divisions, introducing new financial products and adjusting to the changing buying patterns of African American consumers. BE reported in 2004 that it still ranked No. 1 but as a list leader among five firms that included in order of rank: Los Angeles-based Golden State Mutual, Atlanta Life Financial Group, Booker T. Washington Insurance Co. and Protective Industrial Insurance Co., both based in Birmingham, Alabama. So what happened to black insurance companies? Like other companies that targeted African American consumers, this group could not withstand the competitive force of massive mainstream leviathans with seemingly limitless resources, snaring both African American customers and sales talent. Moreover, these conservative institutions were not protected against their own liabilities: their snail-paced movement to introduce innovative financial products, embrace new technology, and pivot when faced with seismic economic shifts and industry-altering regulatory changes. 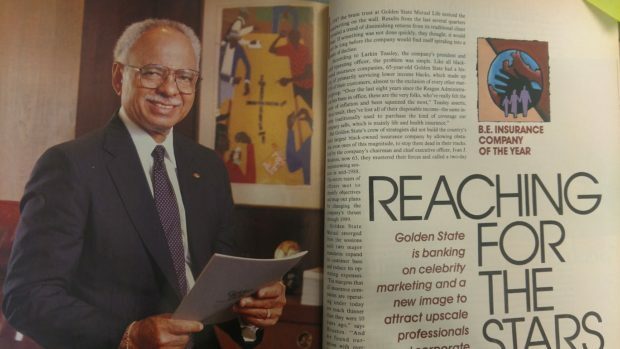 Golden State was founded in 1925 by a group of black insurance salesmen determined to provide the city’s African Americans with financial options. As such, the firm remained among the top three black insurers for the roster’s 32-year existence—assets grew from $44 million in 1972 to $121 million in 2003—by employing different tactics to retain and expand its customer base. In addition to handling the group insurance needs for corporate clients like J.C. Penney Co. and McDonald’s Corp., its CEO Ivan Houston and President Larkin Teasley initiated in the 1980s the roll-out of new products and celebrity marketing with then-superstar Dallas Cowboys quarterback Herschel Walker as its spokesperson. These approaches were used to lure upscale black customers. Roughly a decade later, Teasley, then CEO, directed outreach efforts to the Latino market and use of the internet as a platform for customers to gain information and purchase policies. But Golden State eventually succumbed to market forces: According to the Insurance Journal, the firm, which had four consecutive years of net operating losses, was placed into conservation in 2009 when its reserves fell below the state’s minimum requirements. By 2010, its policies had been transferred to majority-owned IA American Life Insurance Co. to protect policyholders. Atlanta Life had always found ways to ensure its growth and relevance. 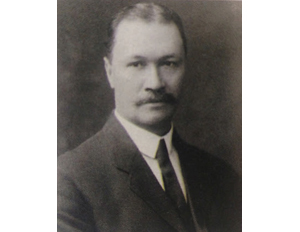 Started by Alonzo Herndon, a former slave, in 1905, the firm prospered in the early 20th century by selling insurance policies to African Americans door-to-door. As black insurers weakened due to the turbulence of the 1970s and 1980s, the stalwart CEO Jesse Hill strategically absorbed some firms into the fold—even if it meant battling rival NCM to acquire the assets of Louisville, Kentucky-based Mammoth Life and Accident Insurance Co. in a hostile takeover. The firm’s assets expanded from $81 million in 1972 to $100 million in 2003. Due to Hill’s prowess and the institution’s successful track record, Atlanta Life was named BE Insurance Company of the Year in 1982 and 1988. Due to the shifting dynamics of the industry, the new senior management team would further diversify the firm through strategic alliances and acquisitions. 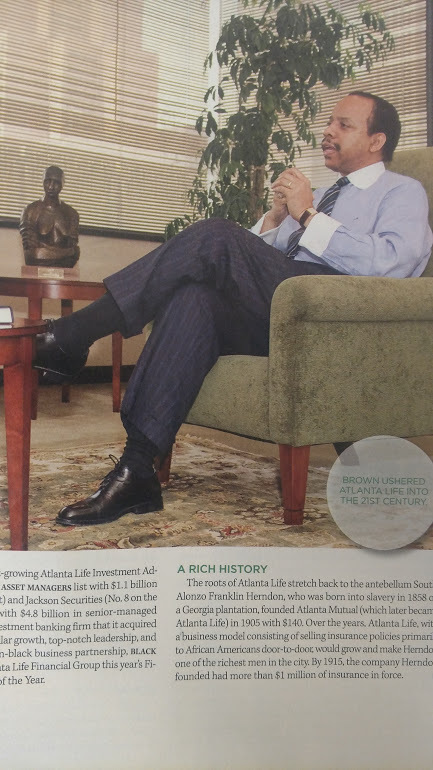 By 2008, under the leadership of its late President & CEO Ronald D. Brown, the firm had morphed into Atlanta Life Financial Group (ALFG), holding company for the venerable insurer and two BE 100s financial services firms: investment bank Jackson Securities named for its late co-founder and former Atlanta Mayor Maynard Jackson and asset manager Atlanta Life Investment Advisors—later named Herndon Capital Management—which substantially increased assets under management from $53.9 million in 2003 to $1.1 billion in 2007. That same year Atlanta Life Financial was named BE Financial Services Company of the Year. ALFG continues to focus on strategic collaboration. Its insurance subsidiary recently announced its partnership with Altium Group L.L.C., a New York-based specialty insurance firm, to market “innovative, industry-first, insurance coverage” that protects the beneficiary from the suicide exclusion clause found in most standard life insurance policies. As for NCM, The Durham Herald Sun recently reported that the 119-year-old icon, which one-time boasted more than 1,000 employees has been reduced to 40, revealed its rebranding initiative to reach a younger demographic as well as offering an array of policies—life, property, auto and health insurance—as a distributor for former rivals Prudential and MetLife.